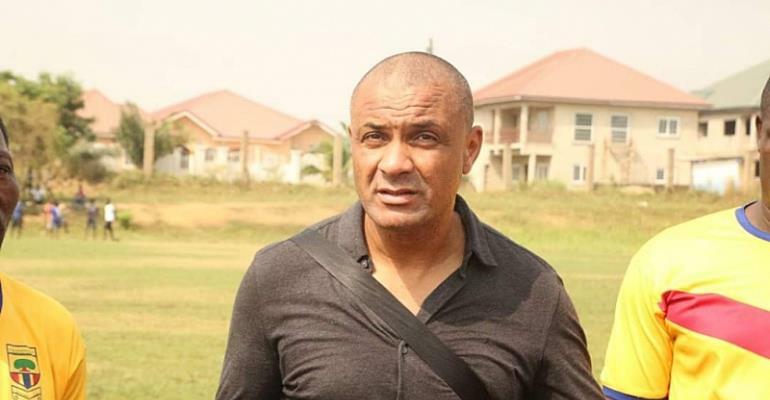 Hearts of Oak coach, Kim Grant has urged the supporters of the club to be patient with his team in the ongoing GFA Normalization Committee Special Cup. The Phobians lies third in the zone B of the competition after recording three wins with two defeats in the Normalization Committee Special Cup. However, the capital-based club returned to winning with Kojo Obeng Junior scoring the only goal for the Phobians to beat Liberty Professionals 1-0 at the Carl Reindolf Park on Sunday. "They [fans] should be patient. It's progress and I am working on the team," Coach Grant said after the game. "I am not going to change my style of play. The team will get more confident and better with more experience. "The players really did well against Liberty Professionals," he added. Hearts of Oak will host West Africa Football Academy in the match-day six of the GFA Normalization Committee Special Cup on Wednesday.